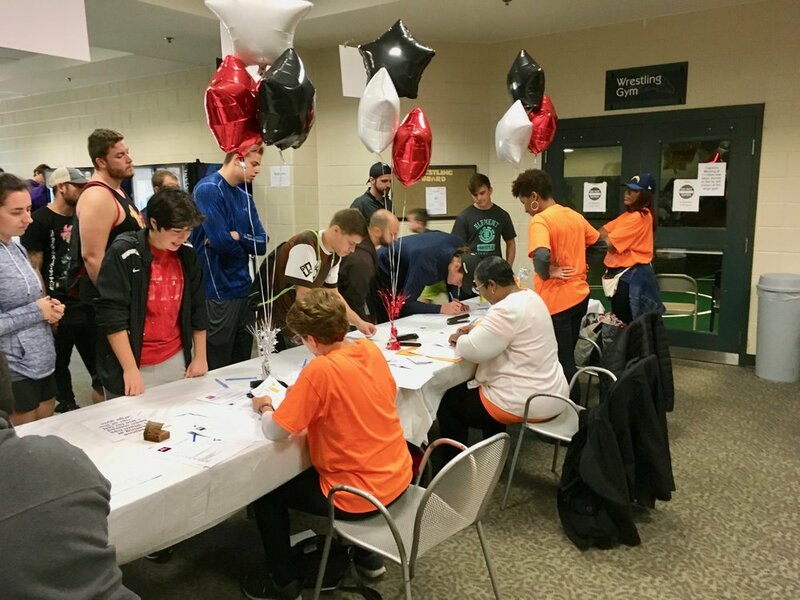 Our Seventh Annual Dodge Hunger Dodgeball Tournament at RiverWinds Community Center in West Deptford on November was our best tournament ever! "Hunger is a serious issue in South Jersey, but raising awareness and funds to help fight hunger doesn't have to be", said Dream Center Executive Director, Natalie Fortunato. "We formed this event to give people a way to help put food on the table for local families, and have a blast doing it". But why dodgeball? "Dodgeball is fun, edgy, exciting, competitive, and outside the box for most fundraising ideas, it's perfect for us". 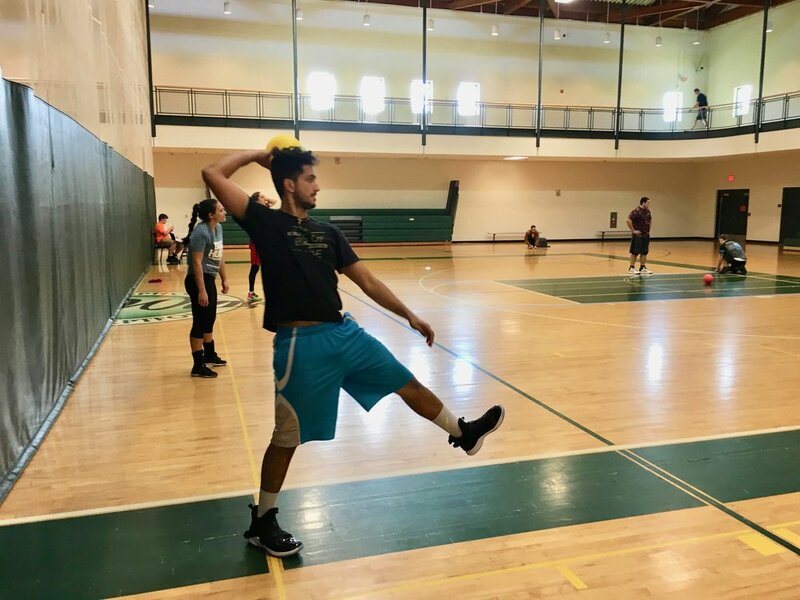 According to US Dodgeball, the governing body of dodgeball in the United States, an estimated 30,000 to 50,000 adults play organized dodgeball, with 3,000 to 5,000 participating regularly at a higher level. Team USA conducted five tryouts across the country in 2017 to field its three teams - men's, women's, mixed - at the 2018 Dodgeball World Cup at Madison Square Garden. 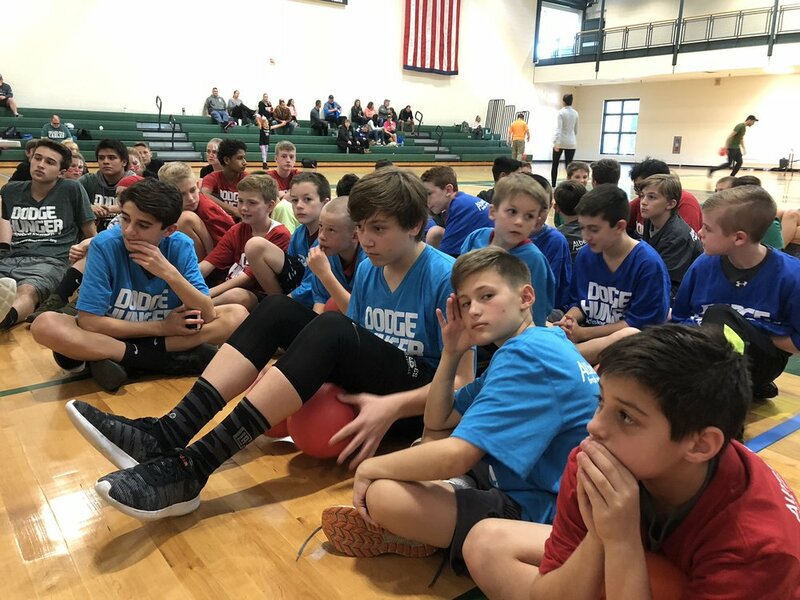 As for Dodge Hunger Dodgeball, teams are made up of six players - all male, all female or co-ed, and compete in four divisions - Middle School, High School, Adult and Pro. This year there were 27 teams represented in all Divisions. Some traveling from as far as Long Island, Delaware and Baltimore, and many from local schools, workplaces, and social groups. New this year was a Mini-Mentor Session provided by the Pro Teams for the other divisions. "It's encouraging to see that you are giving Middle School and High School students an opportunity to learn more about the sport", said Tim Wells, who plays for the R.I.T. Tigers and is the East Coast Director of Elite Dodgeball, and assisted in this year's Dodge Hunger Tournament. At the heart of the tournament was the issue of food insecurity in our local region. "With over 180,000 people in south Jersey living below poverty", Dream Center Founder, Joe Fortunato says, "Food insecurity is one of many challenges that local families face on a daily basis. Unemployment, under-employment, addictions, grief, low-self esteem, marriage and relationship problems, and parenting issues bring added stress to people who are caught in a cycle of despair". "At the South Jersey Dream Center, we believe the cycle of poverty can be broken in people's lives, and dignity restored. The Dream center is not a place to just help poor people. It's a place to help society as a whole. We combine food and clothing assistance with development of the whole person, which empowers people to get to the root of, and rise above the causes of chronic poverty. We develop people to reach their full potential, be a contributing member of society, and to dream again of a brighter tomorrow." Joining the Dream Center in their mission and helping to raise over $10,000 were corporate partners such as Albert's Fresh Produce, Party Host Helpers Philadelphia, the Columbia Bank Foundation, and NuStar Energy, as well as a host of local businesses at various other sponsor levels and in kind donations. Enjoy our full Dodge Hunger Facebook photo album HERE. Ken Fanslau and part of the office staff of Custom Building Products in Pureland in Logan Township. Gathering around the holiday table with friends and family takes on a whole new meaning when you know that there’s another family several towns over that is doing the same because of your simple act of kindness. Through the generosity of the employees of Albert’s Fresh Produce and Custom Building Products, the Dream Center was able to spread good cheer to local families who struggle to make ends meet. Men and women at the Mid-Atlantic States Career and Education Center went home with a Thanksgiving basket to share with their loved ones on one of the most celebrate family days of the year. Other donated items were passed along to the Seniors at the Gloucester County Senior Nutritional Program at the Thorofare Fire Hall, the Woodbury Coop Food Pantry, and the Mother-Child Residential in Woodbury. The Dream Center welcomes Kingsway Recovery, a premier outpatient substance abuse treatment Center located in Mullica Hill, New Jersey AND our December Sponsor of the Month. 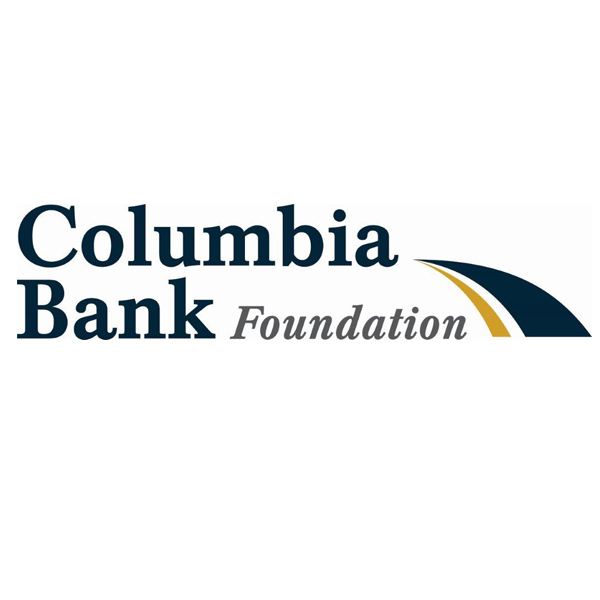 They provide a host of services including Individual Counseling, Group Counseling, Partial Care, and Outpatient Programs, Gambling Counseling, and more. Owner, Nicholas DeSimone, is a Licensed Clinical Alcohol and Drug Counselor, International Certified Gambling counselor, and a Licensed Associate Counselor in New Jersey. Having overcome a 22 year addiction himself, he declares, “My life experiences breathed life into Kingsway”. He and his wife, Michelle, a Licensed Practical Nurse, believe that true and lasting change comes from helping the whole person: spirit, soul and body. They are passionate about making resources accessible for family members and loved ones of the addicted. Pastor Joe and Natalie Fortunato had the privilege of being a part of their Business Dedication several days before Thanksgiving. Thank YOU Kingsway for partnering with us! We are also honored to welcome J&J Snack Foods to our growing list of retail partners. We recently made our first pick up of donated bakery items from their Uptown Bakeries plant in Pureland, 20 cases of blueberry and chocolate chip muffins. We join the ranks of their customer base, including their largest customer Wawa. For over 46 years, J&J has been a constant leader in the niche snack food and beverage segment. The Dream Center is one of several non-profits that J&J partners with in South Jersey, and promises to be a long lasting relationship in serving the needs of struggling families. Life is so much sweeter with fresh baked goods! Featured in this photo from right to left is Marcellis Johnson, Bryan Moquin and two dedicated employees who frequent the -20 degree freezer! Newer PostAre We a Charity?